Learn how to gear up for the winter weather. Winter motorcycle gloves are essential kit for the hardy souls who brave the roads at this time of year. However with so many different styles and materials to choose from the choices can be overwhelming. In this buying guide we’ll be breaking it down for you. 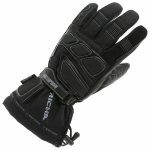 Firstly we’ll take a look at the main things you should think about when buying a pair of winter motorcycling gloves. Then we’ll review some of the better gloves available to riders this winter. As always on Begin we’ve looked at the winter gloves which offer the best balance between price and quality, although we recommend spending a bit more on your gloves as they are the most important piece of safety gear after your helmet. Our advice would be to spend as much as you can afford on a good quality pair which will last for years rather than buy a cheap pair that will leak water and offer little protection if you drop the bike. Also worth considering are electrically heated gloves, they tend to be more expensive but the tech has come a long way in the last few years and they are pretty reliable. Read our guide to the best heated motorcycle gloves. Pushed for time and just want our top recommendation? Look no further than Richa’s Arctic Textile Waterproof Gloves. They are warm, waterproof and offer great protection. How do they protect me in a crash? How do they protect me from the cold, wind and rain? Lets have a more detailed look at these factors and decide which ones are the most important. As a general rule leather has better abrasion resistance than man made textiles. In simple terms this means if you come off the bike the leather will protect your hands when in contact with the road surface. Leather will also tend to fit better as it is more supple than man made fabrics and moulds to the fingers more snugly. Top tip – remember leather stretches as you wear it in so go for a slightly tighter fitting to allow for this. As technology has improved textile gloves have become a serious alternative to leather and many gloves actually contain a mixture of both man made and leather materials to give the best of both worlds. 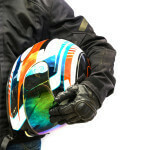 For a seriously in-depth look at the pros and cons of leather vs textiles in general motorcycle safety gear see here. It is extremely important to get the fit of the gloves correct. This is especially true with winter motorcycling gloves as the extra thermal padding and waterproofing can be bulky. You are looking for a snug (not tight) fit which leaves some room for finger movement and allows for unobstructed use of the bikes controls. Too tight and the gloves could restrict your circulation and create numbness in the fingers – not good for control! Too loose and the excess baggy material can interfere with the bikes controls or even worse the glove could come off completely in a crash, your expensive hand armour is not much good to you if its 100 yards down the road. Following on from this, always go for a glove that will stay securely in place if you come off the bike. Look for D-ring or velcro retention straps around the wrist. Have a look at the first part of this video for correct glove sizing information. Its American but covers the basics well. Good gloves should offer armour protection for the knuckles, fingers and palms. All seams should be tightly stitched and look for double stitching and reinforcement in the high impact areas of the glove. Hard Armour – typically made from hard plastic or carbon fibre and designed to fit over the soft armour, gives extra impact protection and is an extra line of defense against wear-through. Pay particular attention to palm or scaphoid bone protectors, the natural human reaction to a fall or crash is to put the hands out to protect the head. It is very common for the palms to take the full force of an impact on the road and many riders have found that palm protection is more important than knuckle armour in the event of a crash. Scaphoid protector highlighted in red. Fingers and knuckles should be protected by hard or soft armour. Look for long gloves with gauntlets they will cover and protect the wrists, also very useful for keeping the cold weather out (more on this later). Also as previously mentioned but worth repeating, check that the glove has a strong fastening around the wrist to keep it securely in place in an accident. 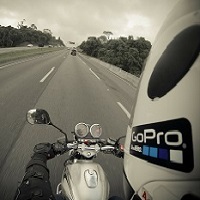 Both leather and textile motorbike gloves can be effectively waterproofed. This is achieved by bonding a water tight membrane behind the outer fabric or leather. Ideally the membrane should be breathable, sweaty clammy hands become irritating very quickly. Anyone who has ridden in winter knows that wind chill is a serious factor. 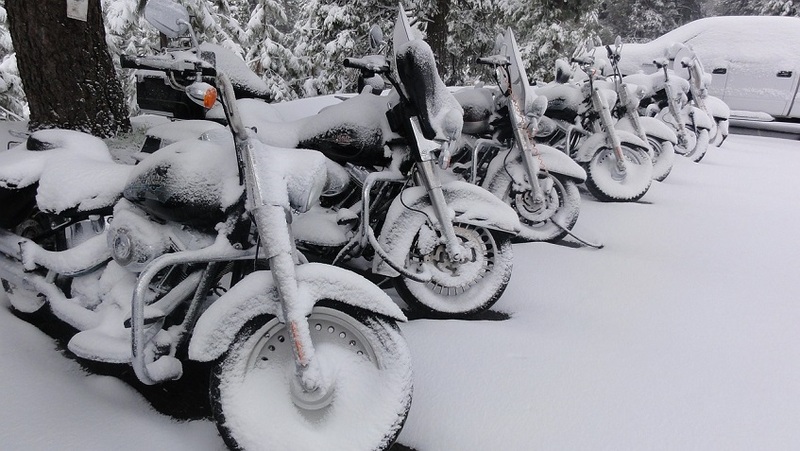 The cold can cause your hands to become numb and stiff, not good when trying to use the bikes controls. Look for a glove with thermal lining. Most of the cheaper ones will have a Thinsulate lining (the same stuff your regular winter gloves are made of) , the more expensive ones may have a three layered lining which will trap more air and provide more warmth. Whilst Thinsulate should be adequate in normal UK winter temperatures, it mat not do the job if it gets very cold. 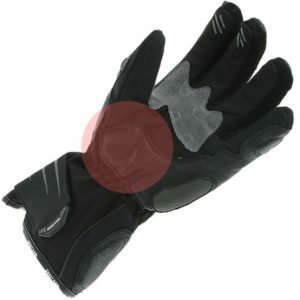 One solution is to wear any extra thin glove inside the motorcycle glove to provide an extra layer. Lets dig into the our top picks. A great all rounder in the mid price range. Hard armour to the knuckles and soft armour to palm, wrist and fingers. These gloves are extremely warm and have an impressive amount of waterproofing, staying dry even in the grimmest of UK weather. 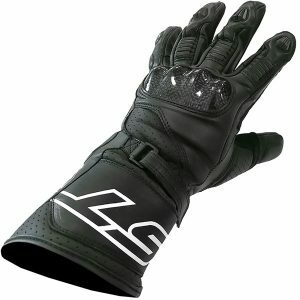 This is a more sporty glove in the mid price range. Offers fantastic all round protection with carbon fibre knuckle armour, finger joint armour and soft armour with leather reinforcement on the palm. 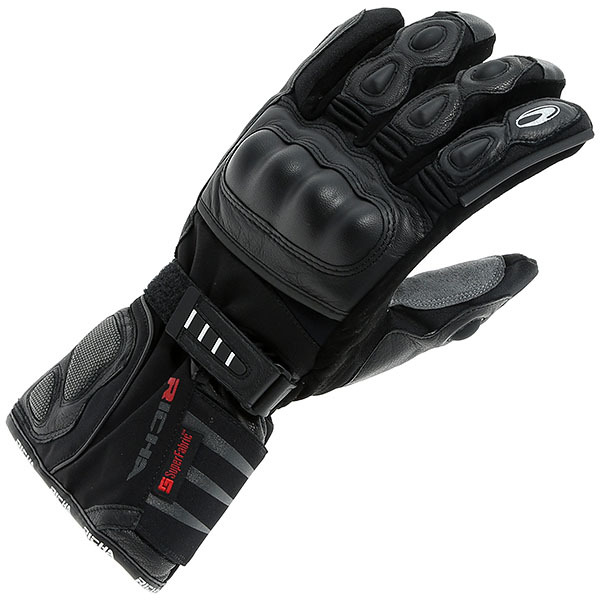 If you are on a tight budget then this is the cheapest pair of motorcycle gloves we recommend. They score reasonably well on the three main benchmarks of warmth, waterproofing and protection. Will work best for short commutes. Their limitations will become apparent in heavier weather. A warm and comfortable glove at the lower end of mid range pricing. These gloves excel in their level of protection, with hard armoured knuckles and soft armour with leather reinforcements on the palm. They also have a very handy plastic visor wipe on the left thumb and it really does do a good job at removing rain from your lid. We have two top recommendations for your winter motorcycle gloves. If your top priority is hand protection and armour then the RST Blades are the perfect choice. 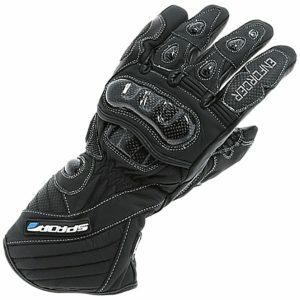 If you are looking for the best in warmth and weatherproofing then go for Richa’s Arctic gloves. Either set of gloves will perform incredibly well in the UK climate and should give you many years of good service.